The ATP and WTA Tour Finals were called the 'year-end championships' of tennis for a reason. There was a time when these two events, along with the Davis Cup and Fed Cup finals in international team tennis, brought the long tennis season to a close. But, starting last year, two pro tennis leagues - the Champions Tennis League and the International Premier Tennis League - debuted and ate into what used to be the players' vacation and recuperation time. 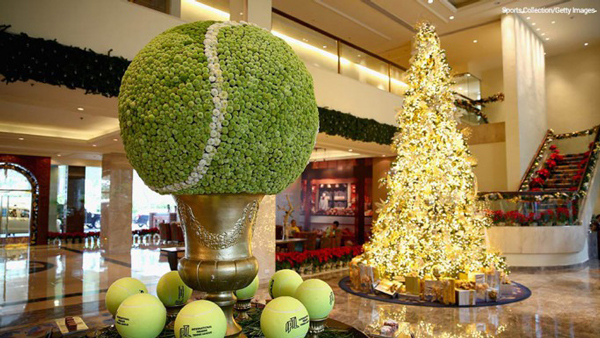 While the CTL is already underway, the second season of the IPTL starts on 2 December at the Kobe World Hall in Japan. The IPTL, in particular, has grabbed a lot of attention. Not only is it the brainchild of India's multiple-time Grand Slam champion Mahesh Bhupathi, but it has also attracted some of the biggest stars in the world - Roger Federer, Novak Djokovic, Serena Williams, Rafael Nadal and Maria Sharapova. For Indian fans, though, the highlight of the season will be the clash between Federer and Nadal in New Delhi. IPTL is to tennis what futsal is to football and Twenty20 is to one-day cricket - it's fast-paced and really short. In its inaugural season, the Indian Aces won the title with a two-point margin over the UAE Royals on the final day of the season. Bhupathi founded the IPTL back on 25 May 2013. The league would be a city-based franchise format modelled upon cricket's Indian Premier League. It would also be star-driven, as the World Team Tennis tournament used to be back in the 1970s. The tournament boasts of a funky format and the vision is to draw in a whole new audience to the sport. The first season saw four teams, and they have now been joined by the new Japan Warriors franchise. Owners: Neelesh Bhatnagar, a Dubai-based businessman and Sachin Gadoya, managing director of Musafir.com. Indian cricketer Virat Kohli was introduced as a co-owner on 10 September 2015. Owners: Micromax Infomatics Ltd in 2014. As of 2015, they are no longer franchise owners, but continue to be associated as a sponsor. Also read: One year on, has cricket learnt anything from Phil Hughes' death? Owners: UD Trading, led by Chairman Prateek Gupta. OUE Limited is the title sponsor. Order of play: This is decided by the coach of the home team, and if it is at a neutral venue, then a coin toss determines which coach decides the order of play. Scoring: Every game won is a point towards that team's total score. There is no 'advantage' and hence each set is a race to six games. If a set is tied at 5-5, there will be a 13-point 'shoot-out' tiebreaker to determine the winner (first to 7 points). One point added for each game won in the team's total. Super Shoot-Out: If two teams are tied at the end of five sets, there will be a 19-point super tiebreaker, with the first team to win 10 points taking the match. Unlike season 1, the super shoot-out is not time bound. It counts for one point in the overall match score. Final set: The final set of each match will go on until the team with the highest overall score wins the final game. If the team that is behind wins the fifth set and is behind in the number of games won, the set will continue until that team garners enough games to tie the overall game score, or the leading team wins one more game. Shot Clock: 20 seconds between service points. 45 seconds during the changeover. 3 minutes given for breaks between sets. Substitutions: Each team is allowed one substitution per set. Coca-Cola Power Point: Any receiving player can call the Coca-Cola Power Point (known as Happiness Power Point last year). This indicates that the next point counts as double. Only one Power Point can be called per team per set. Time-Out: Each team gets to call a coach's time-out, any time, once per set. This will last for 60 seconds only. Changeover: Players change ends for the first time after 3 games and then after every 2 games. New balls: New balls are provided each set. Hawk-eye review/Player challenges: Each team gets 3 challenges per set, and any unused challenges can't be carried forward. One challenge in the Super Shoot-Out. Final: The top two teams in the league will qualify for the final and face off for the championship. The final is played in the same format. Read: The Drone Racing League just raised $1 million. Is this the world's next sport obsession? 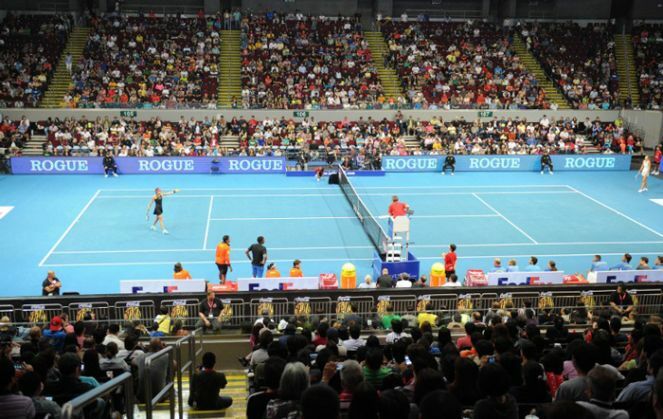 The IPTL's presenting sponsor is Qatar Airways and title sponsor is the Coca-Cola Company. The ball partner is Head and official university partner is Amity University. Star Sports is the broadcast partner. The champions of IPTL receive $1,000,000, along with the IPTL Challenge Trophy.